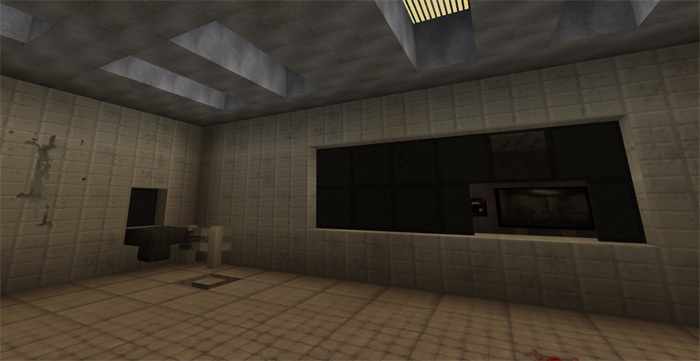 This map takes place in a chilling facility of horror. You’re stuck in there with a maniac (known as Jigsaw) who will force you through all kinds of crazy challenges to test your willingness for survival. All in all, it’s a distasteful and sick experience (at least compared to the usual maps you’ll play). Even though it might sound harsh it’s actually a compliment because it is in fact a horror map. There are lots of custom textures, sounds and other cool features. Important: This file exceeds 130 MB! 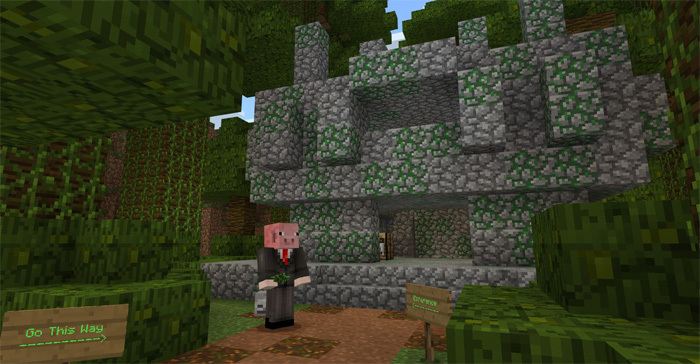 Egaland is a modern city and actually one of the oldest ones for Minecraft PE which is still being updated regularly. The city consists mostly of colorful skyscrapers and other large housing objects but there are also awesome creations such as a museum and an airport which you can explore. As a whole, it’s a very detailed and beautiful city with a lot to see! Disneyland is now also in Egaland! The museum is inspired by the Louvre in Paris. The airport is the biggest airport which I have ever seen in Minecraft Pocket Edition. It is incredibly detailed and it also looks very realistic. The details are just amazing! I love it! Specials thanks to nxusMCPE, AvrinMinecraft, PeacelandGov, m_styler777, mnabil0303, Jovan, mi1_MCPE and carby137! Anyone is allowed to use the map as long you give credits to qwertycyz123. The White House has been the official residence and workplace for all U.S. presidents dating back to the 1800s with John Adams (the 2nd president of the U.S.) being the first one to live there. This map features the majestic mansion and many of the nearby structures and parks. It’s an incredibly detailed map with lots to see and explore.